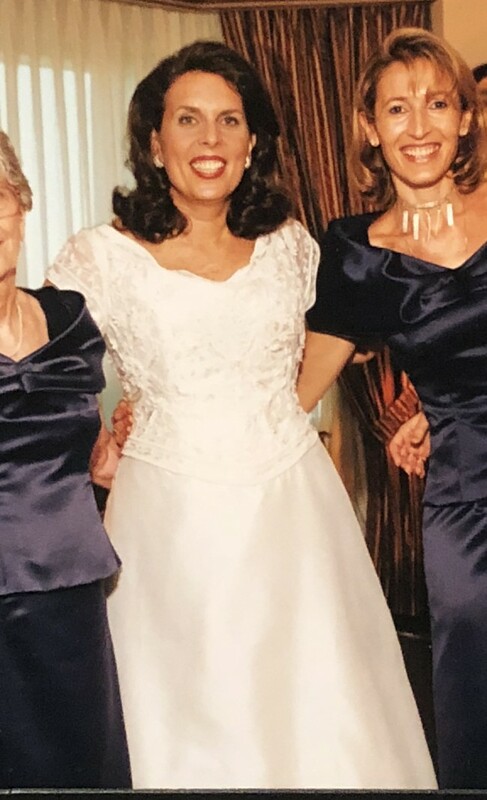 Melissa Sweet "Eliza" Silk shantung diamond white, "v" neckline to tip-of-shoulder with embroidered organza cap sleeves, dropped waistline w/scoop basqueso, A-line skirt with split train, sweep hem. The size of the dress is approximately a 16, considering it was altered. The dress was custom made for me. Once you send a message, Merna can invite you to purchase the dress.